This brief, hands-on lab manual is built specifically to accommodate the fast pace of any A&P labs. 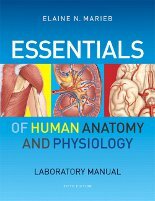 It complements any A&P text and provides 27 concise, activity-based exercises. Each lab includes a new pre-lab quiz, learning objectives, summaries of key concepts, a variety of activities, and an integrated review sheet. The manual also includes a full-color Histology Atlas with 55 photomicrographs.